more than our actual costs! We stock the latest model trains, G scale trains, USA trains, LGB locomotives, Bachmann trains, train accessories, track, batteries, remote control systems, G scale buildings, garden railroading scenery, lights, sound systems and parts to keep your model train layout beautiful year round. 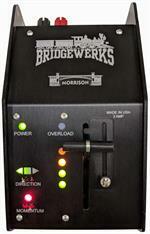 We also do installs-Battery and Sound!!! 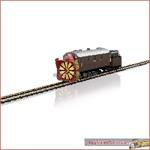 Great for Small G Scale Layouts! EXTREMELY LIMITED SUPPLY...SOLD OUT AT THE FACTORY..RESERVE YOURS NOW BEFORE THEY ARE GONE. 12 pieces of brass flex track European NG style at 6' segments. The 20 FT Diameter CURVE European NG Style, 16pcs/box constructed of exceptional quality and ease of use for exceptional service on your garden railroad. 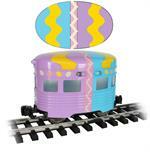 Bachmannfts Easter Eggliner will brighten your garden railroad. PIKO one-of-a-kind Easter design, produced only once. ORDER EARLY AS THEY WILL SELL OUT FAST! Hop aboard this USA Trains Box Car CSX Blue and travel the open railroad on your own model train layout! We get model railroading because we are model railroaders! If you are ever in the Des Moines, Iowa area, Come visit us! We are just minutes away from I-80/35. We have both indoor and outdoor garden railroad layouts and visit our Model Train Shop! We have hands on experience with model trains such as Bachmann, LGB & USA Trains locomotives, G scale trains, model railroad layouts, model train track and track design. 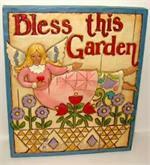 Let us know how we can help you design a one of a kind garden railroad!